I love the feeling of how time slows down during a vacation. I like to make my regular days slow down too. How do I try to do this? By planning well and adding in relaxation and fun. Taking charge of the day cannot happen if we don’t plan for it! 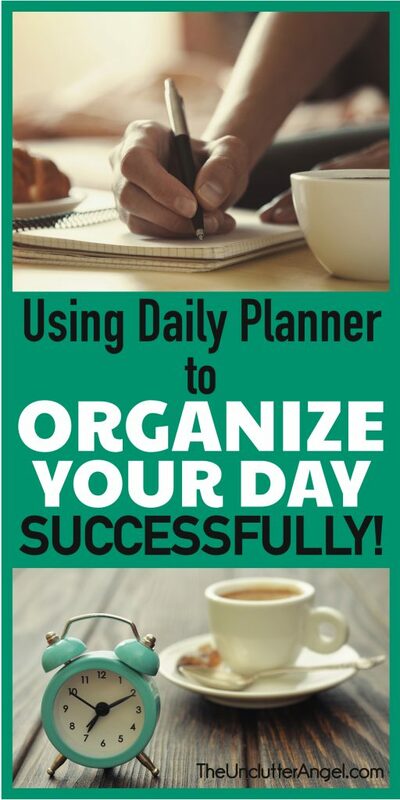 If you feel your day goes by too fast, and you aren’t sure how using daily planner to organize your day successfully will help, try the following ideas. Whether you prefer to use a paper planner, a desk planner or a phone app, find a system works best for you. You may need to try more than one system. You aren’t a failure if you find that using a paper planner is frustrating for you and you want to use your phone app and visa versa. I personally do not care for the online calendars since I am a visual and hands-on person. I like to be able to write down my thoughts and ideas, and cross items off my list. 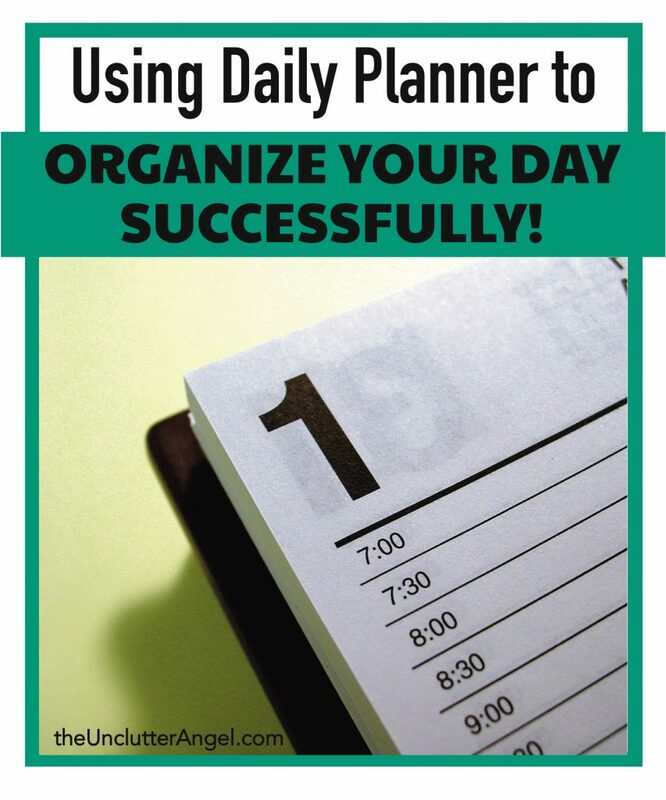 Organize your day planner according to how you best work and function at different times of the day. 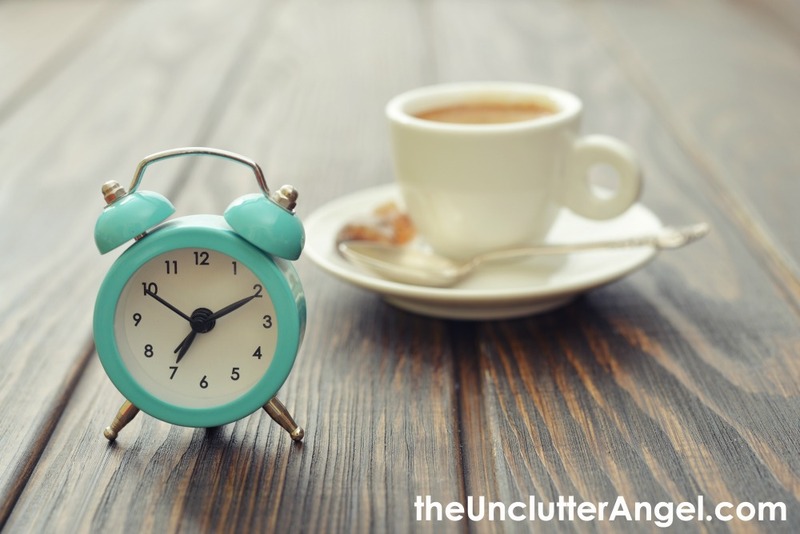 If you are a morning person, plan tasks that need energy. If you are a night owl, schedule with that in mind. Again, you may have to make some changes, but keep rearranging until you find what works for you. Do your planning when it works best for you. Use daily planner the night before or early morning as you are beginning your day. The important thing is to have your day planned ahead of time. Playing your day “by ear”, will ensure that you will feel like you are always trying to catch up and the day has “flown by”. Have you ever thought, “I have the whole day to get stuff done!” Only to have the day come and go and not much to show for it? Sunday evening could be the perfect time for you to create your action plan for the week. You will have better success if you remain consistent, because planning helps you to make the most efficient use of your time. Be careful not to plan too many tasks or projects in a day. It is better to fully complete a couple of tasks, than to have a large number of items that are half-way completed at the end of the day. When we have tasks that can’t seem to get done, that is when the frustration kicks in. Instead, create an action plan with steps to take throughout the day or steps that are spread out over a few days. 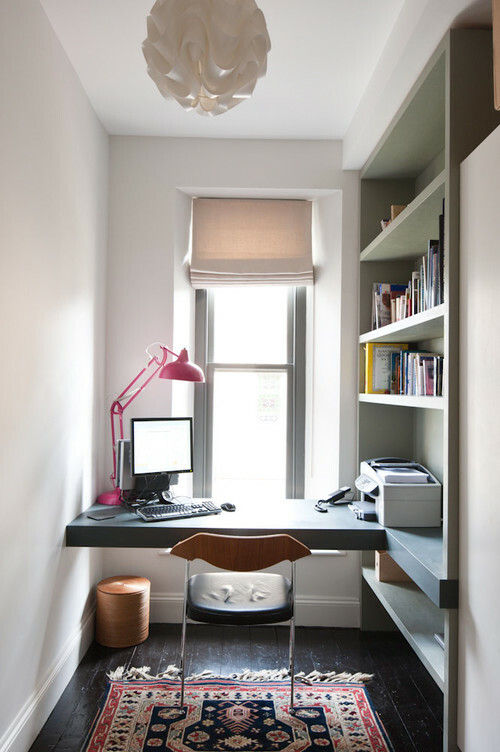 Taking breaks and having some downtime throughout your day, will help you to stay refreshed and recharged. I understand that making the time to relax can be easier said than done. By taking some downtime, like taking a walk, reading a good book, or spending time with those you care about, you can actually get more done. It may take some time to create this new habit, but with consistency, it will get easier and easier to implement. Each day you will become more productive because you use a daily planner. 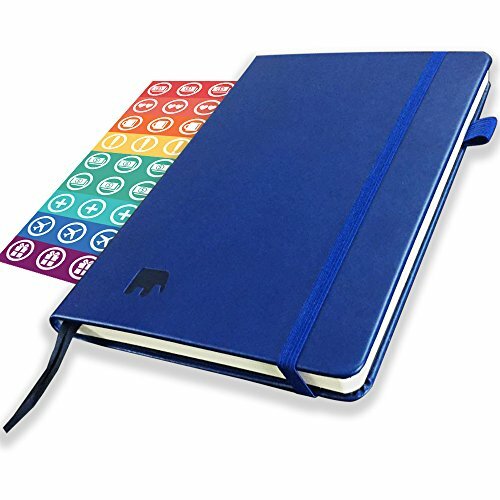 Enjoy each day knowing that you are using a daily planner to organize your day successfully!